- Accent Fabric : hand woven cotton fabric in purple violet. It is also known as shot cotton which is widely popular as handloom in India. - Interior Zipper Pocket to keep your important stuff like money or cards. ** Please remember that colors may vary due to your monitor settings. 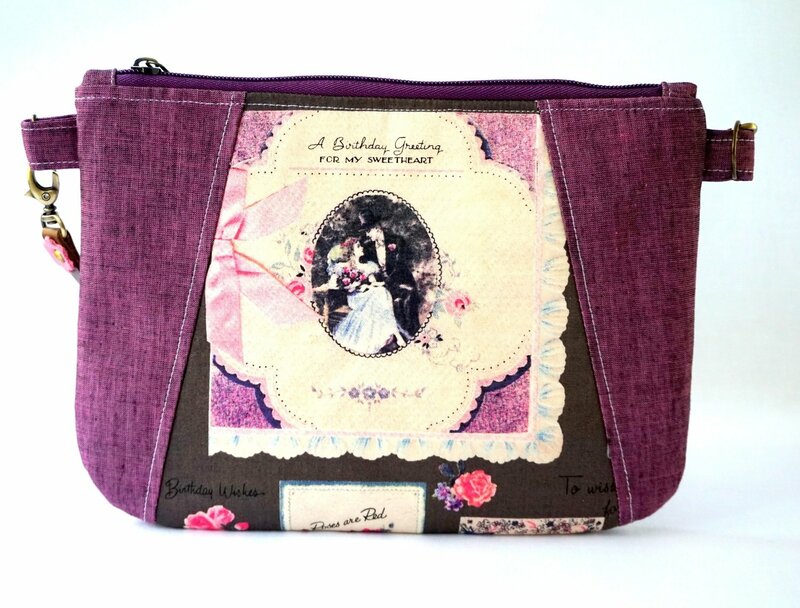 This is a unique one of a kind wristlet clutch for evening outings with your friends or on a date night. This unique clutch bag will be a perfect gift for everyone, like your families, best friends, coworkers, etc.